Last century, in the 1960s, two European space entities were created – ESRO (the European Space Research Organisation) and ELDO (the European Launcher Development Organisation) – that would later form the basis of ESA, the European Space Agency. ESA’s Convention was finalised in 1975. Since then, 22 European states have ratified this Convention, in so doing becoming committed member states of ESA. Through national ratification, the Convention, an international treaty, assumes the status of national law. “The organs of the Agency shall be the Council, and the Director General assisted by a staff”. The drafters of the Convention were very clever to set out some basic functioning principles concerning the financial rules (GDP-based, geo-return, mandatory and optional programmes), as well as focusing on indispensable content such as science, infrastructure and education. and Elaborating and implementing a European industrial policy. All of this has led, since the very beginning, to an extremely well-developed European Space ecosystem across all fields. 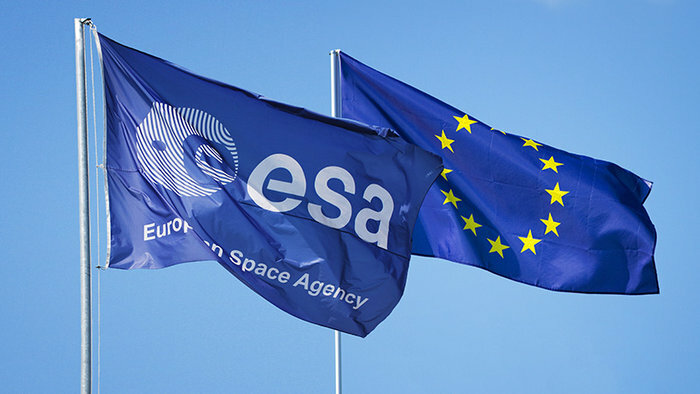 Europe today is recognised as a major space player, thanks to the commitment of Member States to the functioning of ESA as a common endeavour. However, the overall landscape has changed and continues to change: more and more states have national space capabilities and the European Union, too, has developed its own space activities in accordance with the Lisbon Treaty. The opportunity is the growth and added value of the space sector to society and economy, while avoiding additional bureaucracy and unnecessary duplications, as written in the ESA-EU Framework Agreement of 2004. Institutional links (hubs) between ESA and the national entities responsible for space can help to ensure the coherent European space policy called for in the ESA Convention while still leaving room for diverse interests and capabilities. The EU is currently in the process of discussing a regulation for its next “Multiannual Financial Framework”, MFF 2021-2027, which will enlarge the scope of the EU’s space activities. The question arises of whether in response to this development there must be changes to the ESA Convention or even to the whole organisation. It is clear to me that Europe (and I mean Europe in the broadest sense) should, based on its experience of the last 50 years, use this evolving overall setup to adapt to the current paradigm shift in space in anticipation of future threats and opportunities. The expressions “competition as a driver” and “cooperation as an enabler” should be our guiding principles, especially with respect to organisational synergies. The EU, for its part, sees the need to have its own entity to support the exploitation of space activities while ESA, as it stands, is a well-functioning space agency with its own specific rules. Viewing the situation from a distance with a neutral eye, one arrives rapidly at the conclusion that a parallel universe of independent space agencies in Europe cannot be the answer to Europe being able to hold its own in the face of the increasingly fierce global competition. A smart, evolving solution which combines the advantages, capabilities and opportunities of the different entities is a must politically if we are to be able to secure the efficient and effective European space activities the European taxpayer is entitled to expect. 50 years on from the first landing of a man on the Moon one can encapsulate these ideas in a few short words: it is a small step for the respective entities, but it would be a giant leap for Europe!